It’s a word we have been throwing around a lot here at WePay and sharing out on social media with our readers, but it still is a word that conjures a host of ideas and images when we say it out loud. Our “Do You Platform” video we created this year was our first attempt to capture what comes to mind when we ask people, “What is a platform?”. Check it out here to see some of the funny answers and maybe even learn a bit about how the types of platforms we are interested in are changing the world everyday. Suffice to say, most people are still figuring out what a platform is and we want to really start spreading the word outside of Silicon Valley. So for the next month, our team will be hitting up a few major North American cities, meeting with our current partners (and hopefully future partners) to talk about what a platform is, how they might be one, and what does that mean for their business. We’ll be posting out on our social channels, conducting some informal interviews,and finding out what all of this means to people outside the tech bubble we are prone to stay in. Stay tuned for hopefully some interesting conversations and insightful data our team is gathering for our newest series we’re calling… Humans Of Platforms. See you out on the road! 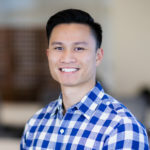 Kelvin Bui is a Marketing Associate at WePay. Kelvin is a growing marketer with experience working in the payment and IoT spaces. When not at work, Kelvin enjoys leading an active lifestyle, consuming pop culture news and trends, and attending and/or watching NBA basketball games.